In addition to receiving this most recent life science funding grant that will support the University of Pennsylvania study, the University of Pennsylvania receives additional life science research funding from the NIH and NSF. 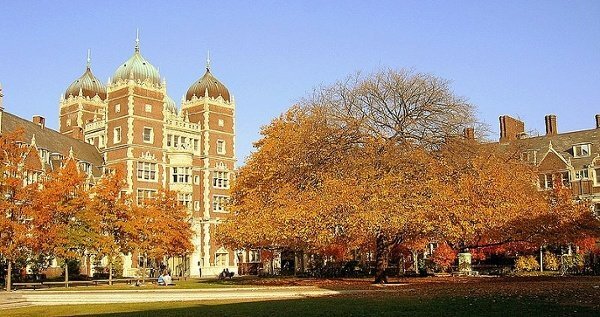 In 2012, the University of Pennsylvania received $457.5 million from the NIH. A full list of departments receiving NIH funding at the University of Pennsylvania organized by department name, number of awards received and total funding awarded, is available at the NIH website. In addition to the NIH giving the University of Pennsylvania life science funding, the NSF also awarded the university $32 million in life science research funding in 2012. If you are a lab supplier and you would like to meet researchers who receive life science funding at the University of Pennsylvania, Biotechnology Calendar, Inc. invites you to attend our University of Pennsylvania life science events. Our Philadelphia BioResearch Product Faire™ Event will be held on the University of Pennsylvania campus on May 14th, 2014. Biotechnology Calendar, Inc. is a full-service science research marketing and events-planning company that organizes life science events at top research institutions nationwide. If you are interested in marketing your lab products at other universities with available life science research funding, we encourage you to view our 2014 calendar of life science events. For more life science funding information on the University of Pennsylvania, or to learn more about our Philadelphia BioResearch Product Faire™ Event, click on the button below.